“First, the statement betrays a cavalier attitude to a pivotal aspect of good governance—government’s respect for right to free expression and political dissent within the ambit of the law,” he said in reaction to Ally’s comments earlier Monday. Hinds also chided his colleague veteran Guyanese politician, who have been opponents for several decades, for seemingly being dismissive of the WPA considering leaving the PNCR-dominated A Partnership for National Unity (APNU) which both parties helped to form and the APNU+Alliance For Change-led government. “The second important take-away from the Minister’s comments is her lack of concern that a partner in government may be contemplating removing itself from the Coalition. How can a spokesperson of a government and Coalition with a tiny majority in the National Assembly not be worried that there is grave dissatisfaction within the coalition? The strength of the Coalition is its jointness. Yet the Minister is saying that she is not worried that one partner is so dissatisfied that some of its leaders are raising the possibility of leaving,” said Hinds who has a history of confronting the PNC head-on in the 1970s and 1980s when it was in power. Describing the PNCR General Secretary’s “little issue” description of the controversy over his removal as a Guyana Chronicle columnist as “rather unfortunate”, Hinds said she considering retracting it. He questioned how Ally, Minister of Social Protection, could refer to a situation in which the Editor-in-Chief informed Board members that he removed himself and trade unionist Lincoln Lewis because of pressure. “The Minister seems not to be concerned about what that “little issue” means in the bigger scheme of things—that it calls into question the government’s sated promise to desist from turning the state-media into partisan mouth pieces of the government,” said Hinds. He again warned that Ally’s response was feeding political ammunition to opponents and critics of the David Granger-led administration over the human rights. This response by the Minister plays right into the hands of the government’s detractors and critics who hammer home the message every day that the government is authoritarian. One of the trademarks of authoritarian governments is their cavalier dismissal of charges of human rights abuses and branding those who make those charges as enemies of the State,” he said. 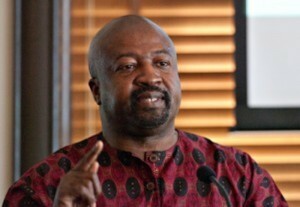 Contrary to claims by Hinds and Lewis, Editor-in-Chief, Nigel Williams has said that he decided to get rid of their columns in his own deliberate judgement and not as a result of political pressure. That decision was subsequently upheld by the Board of Directors by a slim one-vote majority. The company subsequently said that Williams has the legitimate right to hire and fire columnists. Touching on the PNCR General Secretary’s reaction to WPA executive member, Tacuma Ogunseye’s statement that his party should consider leaving the coalition and government, Hinds said that amounted to “the scant consideration and respect for WPA’s concerns” and indeed his party remained very serious about departing from the governing political structure. “She seems to be suggesting that the WPA is not serious about putting this matter of leaving on the agenda. On that she is very wrong. The matter of leaving has always been on the party’s agenda—from the day we agreed to form the APNU with the PNC. It was suppressed in the interest of the collective and the country. We considered all the benefits and the risks, including the fact that we may at some point have to confront the hard question of leaving. WPA is not as naïve as some people think we are,” he said. 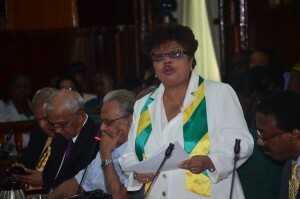 Reasoning that Ally’s apparent lack of worry about a WPA departure would not negatively affect APNU and the coalition, Hinds called such arguments that the so-called small parties brought nothing a “simplistic narrative” because it was perception of unity that resulted in a slim victory. “The Coalition won the election in 2015 because a small majority of the electorate perceived that a coalition of parties stood a better chance of defeating the incumbent PPP and returning the country to normalcy,” the United States-based Political Scientist said. “None of the individual parties—PNC, AFC, WPA or the others—could have achieved that feat on its own. And my knowledge of Guyanese politics tells me that any rupturing of that coalition would work to the disadvantage of the Coalition at the next election,” he added. Hinds is already on record as saying that despite the way he and his party have been treated, he still supports the coalition. The discontinuation of his columns in the Guyana Chronicle, he has said, has marked the second time he has been fired by the coalition-led government. Hinds and Lewis have since said they have also stopped writing editorials for the Chronicle. In the past, the WPA has complained that it has been excluded from decisions such as the removal of its co-leader, Dr. Rupert Roopnaraine from the post of Minister of Education and the closure of several sugar estates that has resulted in the dismissal of thousands of workers.